Searching for used trucks in Spokane? A used truck can provide all of the power and utility you’ll need for your adventures around Spokane Valley and Deer Park, for much less than the cost of a brand new model. Here at ClickIt Auto and RV Wandermere, we offer a wide variety of trailer-ready pickups and RV trucks for sale, from makes like Ford, Ram, and Chevrolet. When you visit our Spokane used car lot, you’ll always benefit from our low prices and our commitment to customer satisfaction. This 2008 DODGE RAM PICKUP 1500 SLT MANUAL 4.7L V8 4X4 TRUCK is as tough as they come. It has a track record of being very tough and durable. The Ram Pickup will have plenty of room to safely transport your kids to the next ballgame or family outing. It will stick to the ground on the sharpest of turns. With exceptional handling you will enjoy every curve of your favorite roads. This Dodge Ram Pickup is an amazing performer and is sure to turn heads where you go. It is roomy and has a smooth ride. The Ram Pickup has amazing acceleration and passing capabilities. This model is fun to drive! The Ram Pickup has dependability you can trust. When it comes to any auto purchase, there is nothing more important than safety. the Ram Pickup will protect you and your passengers with innovative safety features. This Dodge Ram Pickup is a versatile vehicle. This Dodge Ram Pickup handles exceptionally well in the snow and ice. This 1/2 ton pickup has a 4.7 liter 8 Cylinder Engine high output engine. When you encounter slick or muddy roads, you can engage the four wheel drive on this model and drive with confidence. This 1/2 ton pickup is equipped with a gasoline engine. This Dodge Ram Pickup gleams with a flashy red exterior. Anti-lock brakes are standard on it. Icebox AC keeps this model cool all summer long. Bring all your music with you along for the ride in the Ram Pickup with its mp3 player aux input jack. The bed looks great and is protected with a durable surface material. Easily set your speed in the vehicle with a state of the art cruise control system. Increase or decrease velocity with the touch of a button. Electronic Stability Control is one of many advanced safety features on this 2008 Dodge Ram Pickup 1500. The fog lights cut through the weather so you can see what's ahead. The Ram Pickup has front air bags that will protect you and your passenger in the event of an accident. This 2008 Dodge Ram Pickup 1500 is equipped with front side curtain airbags. Quickly unlock this 2008 Dodge Ram Pickup 1500 with keyless entry. An off-road package is equipped on the Ram Pickup. A front power adjustable seat increases driver comfort. Power windows are a must have modern convenience. This Dodge Ram Pickup has a premium sound system installed. The premium wheels make the Ram Pickup stand out from the crowd. The premium quality running boards make it easier to get in and out of this vehicle and give it a nice look too. It has satellite radio capabilities. The tilt steering wheel in this vehicle allows you to adjust the driving experience to fit you. This Dodge Ram Pickup features tinted windows. You will have no problem towing your boat or trailer to your next outing with this Dodge Ram Pickup. The supply is limited! If you are serious about this vehicle, we recommend you move fast. If you are looking for a tough long lasting vehicle, this 2007 DODGE RAM PICKUP 1500 SLT LONE STAR 5.7L V8 RWD TRUCK is a great option for you. The vehicle is a versatile vehicle. This 1/2 ton pickup has the durability you can depend on as the miles tick away. This 2007 Dodge Ram Pickup 1500 comes standard with numerous top of the line safety features. This Dodge Ram Pickup has dependability you can trust. This model is fun to drive! This 1/2 ton pickup will have plenty of room to safely transport your kids to the next ballgame or family outing. This 2007 Dodge Ram Pickup 1500 will stick to the ground on the sharpest of turns. With exceptional handling, you will enjoy every curve of your favorite roads. The vehicle is an amazing performer and is sure to turn heads where you go. This 1/2 ton pickup is roomy and has a smooth ride. The vehicle has a 5.7 liter 8 Cylinder Engine high output engine. Enjoy the incredible handling with the rear wheel drive on it. This 2007 Dodge Ram Pickup 1500 is equipped with a gasoline engine. The Ram Pickup emanates grace with its stylish gray exterior. Anti-lock brakes will help you stop in an emergency. This Dodge Ram Pickup has air conditioning that feels like a walk-in refrigerator. This 2007 Dodge Ram Pickup 1500 is accented with premium quality alloy wheels. It has an aux input for mp3 players. It features cruise control for long trips. This unit is equipped with front airbags. Stay safe with additional front side curtain airbags. Power windows are a must have modern convenience. This 2007 Dodge Ram Pickup 1500 features a tilt steering wheel. This 1/2 ton pickup features tinted windows. This 1/2 ton pickup is a rare vehicle and is hard to find. This 2004 CHEVROLET SILVERADO 2500 HD 6.0L V8 4X4 DIESEL TRUCK has a track record of being very tough and durable. This 2004 Chevrolet Silverado 2500 will have plenty of room to safely transport your kids to the next ballgame or family outing. The speed and passing capabilities of it will impress. This 3/4 ton pickup will stick to the ground on the sharpest of turns. With exceptional handling, you will enjoy every curve of your favorite roads. This 3/4 ton pickup is an amazing performer and is sure to turn heads where you go. This Chevrolet Silverado is roomy and has a smooth ride. The Silverado is fun to drive! This model has amazing acceleration and passing capabilities. This 3/4 ton pickup handles exceptionally well in the snow and ice. This unit is a versatile vehicle. This vehicle is as tough as they come. When it comes to any auto purchase, there is nothing more important than safety. this model will protect you and your passengers with innovative safety features. With having reputation for being one of the most dependable vehicles on the road, the vehicle won't let you down. This unit has a 6.0 liter 8 Cylinder Engine high output engine. This Chevrolet Silverado has an automatic transmission. When you encounter slick or muddy roads, you can engage the four wheel drive on the vehicle and drive with confidence. With a diesel engine, you will be pleased with the power, torque, and fuel efficiency gains. This 2004 Chevrolet Silverado 2500 shines with clean polished lines coated with an elegant white finish. Anti-lock brakes will help you stop in an emergency. It has air conditioning that feels like a walk-in refrigerator. This vehicle has an aux input for mp3 players. Set the temperature exactly where you are most comfortable in this vehicle. The fan speed and temperature will automatically adjust to maintain your preferred zone climate. This Chevrolet Silverado features cruise control for long trips. Pull your 5th wheel and your boat with ease using the powerful Duramax diesel engine found in the Silverado. This unit has front airbags that will protect you and your passenger in the event of an accident. The vehicle is equipped with front side curtain airbags. This 3/4 ton pickup has convenient power windows. The premium wheels make this 2004 Chevrolet Silverado 2500 stand out from the crowd. The vehicle features a tilt steering wheel. This 3/4 ton pickup features tinted windows. The vehicle is a rare vehicle and is hard to find. If you are looking for a tough long lasting vehicle, this 2005 DODGE RAM PICKUP 2500 SLT 5.9L TURBO DIESEL 4X4 TRUCK is a great option for you. This vehicle is a great vehicle for families. The speed and passing capabilities of the vehicle will impress. Reduce your trips to the pump! It is one of the most fuel efficient vehicles in its class. This 3/4 ton pickup will stick to the ground on the sharpest of turns. With exceptional handling, you will enjoy every curve of your favorite roads. It is an amazing performer and is sure to turn heads where you go. Has plenty of room for the whole family! That makes the vehicle perfect for the long summer road trips. The vehicle comes loaded with all the features that will meet your needs and then some. Be sure to review the options listed on this page. With these performance numbers, you won't be disappointed when you take it for a test drive. Enjoy your driving more! This is one of the most exciting vehicles to drive in its class. This Dodge Ram Pickup has dependability you can trust. When it comes to any auto purchase, there is nothing more important than safety. this Dodge Ram Pickup will protect you and your passengers with innovative safety features. This Dodge Ram Pickup has the durability you can depend on as the miles tick away. This 3/4 ton pickup is a versatile vehicle. The Ram Pickup is designed to handle any icy road condition that Mother Nature can throw at you. Your passengers will feel safe with stable braking and handling on all road conditions. This Dodge Ram Pickup has a 5.9 liter Straight 6 Cylinder Engine high output engine. The vehicle has an automatic transmission. When you encounter slick or muddy roads, you can engage the four wheel drive on this 2005 Dodge Ram Pickup 2500 and drive with confidence. This Dodge Ram Pickup has a diesel engine. The Ram Pickup excites both driver and bystanders with a polished red exterior with racy lines. Anti-lock brakes will help you stop in an emergency. Icebox AC keeps this 2005 Dodge Ram Pickup 2500 cool all summer long. Lightweight alloy wheels on the Ram Pickup are the perfect compliment to a stylish body. A full-size spare is included. It features a hands-free Bluetooth phone system. An off-road package is installed on the Ram Pickup so you are ready for your four-wheeling best. Easily access this Dodge Ram Pickup with full power locks. A front power adjustable seat increases driver comfort. Power windows are a must have modern convenience. Nothing dresses up a vehicle better than a set of high-end premium wheels. The tilt steering wheel in this model allows you to adjust the driving experience to fit you. This 3/4 ton pickup features tinted windows. This vehicle is equipped with a heavy-duty towing package. This model is a rare vehicle and is hard to find. This 2008 CHEVROLET AVALANCHE 1500 LT W/3LT 5.3L V8 4X4 TRUCK handles exceptionally well in the snow and ice. This 1/2 ton pickup has a track record of being very tough and durable. This 2008 Chevrolet Avalanche 1500 is a great vehicle for families. This unit will stick to the ground on the sharpest of turns. With exceptional handling, you will enjoy every curve of your favorite roads. This unit has quick acceleration. This Chevrolet Avalanche is roomy and has a smooth ride. The vehicle is fully loaded with all equipment options. With these performance numbers, you won't be disappointed when you take it for a test drive. This vehicle is fun to drive! This unit is an all-around vehicle, well equipped for anything. Whether it is work or play this is a very functional vehicle that will meet all your requirements. The Avalanche has the durability you can depend on as the miles tick away. This unit comes standard with numerous top of the line safety features. The Avalanche has dependability you can trust. This 1/2 ton pickup has a 5.3 liter 8 Cylinder Engine high output engine. The shiftable automatic in this unit gives you to option to control your gears manually without having to give up the convenience of an automatic transmission. This 1/2 ton pickup has four wheel drive capabilities. This model can run on either gasoline or E85 fuel. Impresses the most discerning driver with the deep polished blue exterior on this 1/2 ton pickup. Anti-lock brakes are standard on this 2008 Chevrolet Avalanche 1500. This unit has air conditioning that feels like a walk-in refrigerator. This 2008 Chevrolet Avalanche 1500 has an aux input for mp3 players. This vehicle features a high-end BOSE stereo system. Set the temperature exactly where you are most comfortable in this vehicle. The fan speed and temperature will automatically adjust to maintain your preferred zone climate. Easily set your speed in this Chevrolet Avalanche with a state of the art cruise control system. Increase or decrease velocity with the touch of a button. The Electronic Stability Control will keep you on your intended path. The Avalanche has fog lights for all weather conditions. This 1/2 ton pickup has front airbags that will protect you and your passenger in the event of an accident. Stay safe with additional front side curtain airbags. Quickly unlock this model with keyless entry. An off-road package is installed on this 2008 Chevrolet Avalanche 1500 so you are ready for your four-wheeling best. Keep safely connected while in this 1/2 ton pickup with OnStar. You may enjoy services like Automatic Crash Response, Navigation, Roadside Assistance, and Hands-Free Calling. This model comes with power adjustable seat to get your seat just right for you. Power seats are a must! The Avalanche has convenient power windows. The premium wheels make the vehicle stand out from the crowd. The state of the art park assist system will guide you easily into any spot. The premium quality running boards make it easier to get in and out of this 2008 Chevrolet Avalanche 1500 and give it a nice look too. This 2008 Chevrolet Avalanche 1500 has satellite radio capabilities. This model features a tilt steering wheel. Keep yourself cool in the summer with the premium quality tinted windows. You will have no problem towing your boat or trailer to your next outing with this vehicle. with XM/Sirus Satellite Radio you are no longer restricted by poor quality local radio stations while driving it. Anywhere on the planet, you will have hundreds of digital stations to choose from. A moon roof lets more light into this 2008 Chevrolet Avalanche 1500 and makes the interior feel more spacious. The supply is limited! If you are serious about this vehicle, we recommend you move fast. This 2011 FORD RANGER SPORT 4.0L V6 4X4 MANUAL PICKUP TRUCK is as tough as they come. If you are looking for a tough long lasting vehicle, this Ford Ranger is a great option for you. The speed and passing capabilities of this small pickup will impress. Reduce your trips to the pump! It is one of the most fuel efficient vehicles in its class. The vehicle will stick to the ground on the sharpest of turns. With exceptional handling, you will enjoy every curve of your favorite roads. It is an amazing performer and is sure to turn heads where you go. It is fun to drive! This small pickup has amazing acceleration and passing capabilities. This Ford Ranger handles exceptionally well in the snow and ice. This unit is a versatile vehicle. When it comes to any auto purchase, there is nothing more important than safety. this model will protect you and your passengers with innovative safety features. This vehicle has dependability you can trust. This 2011 Ford Ranger has a 4.0 liter V6 Cylinder Engine high output engine. It comes with a manual transmission. When you encounter slick or muddy roads, you can engage the four wheel drive on this model and drive with confidence. Enjoy the tried and true gasoline engine in this unit. This unit has an elegant black exterior finish. Anti-lock brakes will help you stop in an emergency. The vehicle has air conditioning that feels like a walk-in refrigerator. This unit is accented with premium quality alloy wheels. This unit has an aux input for mp3 players. Easily set your speed in this small pickup with a state of the art cruise control system. Increase or decrease velocity with the touch of a button. Electronic Stability Control is one of many advanced safety features on this Ford Ranger. Know you and your passengers are protected with the front and rear side curtain airbags in this model. This vehicle has fog lights for all weather conditions. This 2011 Ford Ranger is equipped with front airbags. Stay safe with additional front side curtain airbags. With the keyless entry system on this model, you can pop the trunk without dropping your bags from the store. This small pickup has convenient power windows. This small pickup has satellite radio capabilities. This model features a tilt steering wheel. Keep yourself cool in the summer with the premium quality tinted windows. This Ford Ranger is equipped with a heavy-duty towing package. The traction control system on the vehicle instantly senses tire slippage and executes minute power adjustments to maintain traction at all speeds. The vehicle is a rare vehicle and is hard to find. This 2010 DODGE RAM PICKUP 1500 SPORT 5.7L V8 4X4 TRUCK is as tough as they come. This model has a track record of being very tough and durable. The vehicle is designed to handle any icy road condition that Mother Nature can throw at you. Your passengers will feel safe with stable braking and handling on all road conditions. This 2010 Dodge Ram Pickup 1500 is an all-around vehicle, well equipped for anything. Whether it is work or play this is a very functional vehicle that will meet all your requirements. This 2010 Dodge Ram Pickup 1500 comes standard with numerous top of the line safety features. With having reputation for being one of the most dependable vehicles on the road, the vehicle won't let you down. The vehicle is a great vehicle for families. The performance tuned suspension of this Dodge Ram Pickup handles great on all turns. This Dodge Ram Pickup has quick acceleration. Has plenty of room for the whole family! That makes this 2010 Dodge Ram Pickup 1500 perfect for the long summer road trips. The vehicle comes loaded with all the features that will meet your needs and then some. Be sure to review the options listed on this page. With these performance numbers, you won't be disappointed when you take it for a test drive. Enjoy your driving more! This is one of the most exciting vehicles to drive in its class. This unit has a 5.7 liter 8 Cylinder Engine high output engine. It has an automatic transmission. This unit has four wheel drive capabilities. Enjoy the tried and true gasoline engine in the Ram Pickup. It is painted with a durable multi-coat tan finish. Anti-lock brakes are standard on the vehicle. Icebox AC keeps this 2010 Dodge Ram Pickup 1500 cool all summer long. This model is accented with premium quality alloy wheels. Bring all your music with you along for the ride in it with its mp3 player aux input jack. The vehicle features cruise control for long trips. The Electronic Stability Control will keep you on your intended path. Front and rear side curtain airbags are included on this 2010 Dodge Ram Pickup 1500. It has fog lights for all weather conditions. This vehicle has front airbags that will protect you and your passenger in the event of an accident. This model is equipped with front side curtain airbags. Heated seats for those cold winter days are included in this unit. Quickly unlock this Dodge Ram Pickup with keyless entry. A moon roof lets more light into this 1/2 ton pickup and makes the interior feel more spacious. This 2010 Dodge Ram Pickup 1500 comes with power adjustable seat to get your seat just right for you. Power seats are a must! This unit has convenient power windows. This Dodge Ram Pickup has a premium sound system installed. Nothing dresses up a vehicle better than a set of high-end premium wheels. This Dodge Ram Pickup has satellite radio capabilities. The tilt steering wheel in it allows you to adjust the driving experience to fit you. This Dodge Ram Pickup features tinted windows. This 1/2 ton pickup is equipped with a heavy-duty towing package. This vehicle has a trip computer for clocking your road adventures. The supply is limited! If you are serious about this vehicle, we recommend you move fast. 2014 Ford F150 Supercrew XLT with a 6.5ft bed 4x4 hard to find ! This truck comes equipped with an EcoBoost engine and is fully loaded with all the options. Come down to Clickit Auto and RV for a test drive. Or you can check us out at Clickitautoandrv.com at Wandemere on the web. Ask for Lane MathewsInternet Manager509-242-3234lmathews@clickitautoandrv.com ***********************************************Welcome to ClickIt Auto & RV. Be sure to visit our virtual showroom of our Spokane used car inventory that includes cars trucks SUV's new and used RV's and motorcycles. There you will see detailed information about each vehicle and a picture gallery. ClickIt Auto Wandermere is proud to be an automotive leader in Spokane WA.We value each of our customers and pride ourselves in supporting our community by giving back.ClickIt Auto & RV's is a new & used Spokane RV Dealership and a used car dealer in Spokane WA.We offer a huge selection of quality used cars trucks SUVs RVs and motorcycles.Contact us for more information about our vehicles!We are located at 12021 N. Division St. Spokane WA 99218and are available by phone at 509-242-3234.You can also get driving directions and hours of service from our user-friendly website. The F-150 has a 3.5 liter V6 Cylinder Engine high output engine. When you encounter slick or muddy roads, you can engage the four wheel drive on this 1/2 ton pickup and drive with confidence. This Ford F-150 gleams with an elegant silver clear coated finish. Anti-lock brakes will help you stop in an emergency. This Ford F-150 has air conditioning that feels like a walk-in refrigerator. Light weight alloy wheels on the F-150 are the perfect compliment to a stylish body. Bring all your music with you along for the ride in this Ford F-150 with its mp3 player aux input jack. The bed looks great and is protected with a durable surface material. The compact disc changer is great for a personal jukebox. Maintaining a stable interior temperature in it is easy with the climate control system. Easily set your speed in this vehicle with a state of the art cruise control system. Increase or decrease velocity with the touch of a button. It features a customer bumper. Electronic Stability Control is one of many advanced safety features on the F-150. Know you and your passengers are protected with the front and rear side curtain airbags in this 1/2 ton pickup. This unit has fog lights for all weather conditions. This unit is equipped with front air bags. Stay safe with additional front side curtain airbags. A full size spare is included. It features heated side mirrors keeping the ice off and your vision spot-on. With the keyless entry system on this model you can pop the trunk without dropping your bags from the store. Help alleviate lower back pain with the driver seat lumbar support in this model. The memory seats included on this 2014 Ford F-150 allow you to set your perfect position and forget it. The Microsoft Sync System is included in the F-150. This model has oversize off-road tires to eat up the dirt. A front power adjustable seat increases driver comfort. This unit has convenient power windows. This vehicle has a premium sound system installed. The state of the art park assist system will guide you easily into any spot. The premium quality running boards make it easier to get in and out of the vehicle and give it a nice look too. This model features a tilt steering wheel. Keep yourself cool in the summer with the premium quality tinted windows. You will have no problem towing your boat or trailer to your next outing with this vehicle. The traction control system on this 2014 Ford F-150 instantly senses tire slippage and executes minute power adjustments to maintain traction at all speeds. This Ford F-150 has a trip computer for clocking your road adventures. It has a track record of being very tough and durable. This 1/2 ton pickup is a great vehicle for families. Enjoy your driving more! This is one of the most exciting vehicles to drive in its class. The F-150 will stick to the ground on the sharpest of turns. With exceptional handling you will enjoy every curve of your favorite roads. This 1/2 ton pickup is an amazing performer and is sure to turn heads where you go. With these performance numbers you wont be disappointed when you take it for a test drive. This 1/2 ton pickup has dependability you can trust. This 1/2 ton pickup comes standard with numerous top of the line safety features. This unit is as tough as they come. This vehicle is a versatile vehicle. This 2014 Ford F-150 is designed to handle any icy road condition that Mother Nature can throw at you. Your passengers will feel safe with stable braking and handling on all road conditions. This unit has an immaculate interior and clean exterior. The interior looks brand new and there is not even a scratch on the paint. This 1/2 ton pickup was dealer maintained and inspected for quality. The interior and exterior are in good condition. Great condition and well maintained, this this vehicle is just like the day it rolled out of the factory. We have inspected the vehicle. It required minimal reconditioning. It is in above average condition. It is clear the previous owner took great care of it. The F-150 has had a safety and mechanical inspection completed. This Ford F-150 will give you many years of use as it has very low mileage. We ran an AutoCheck report and found there has only been one owner and the vehicle has never been in an accident. AutoCheck Buyback Protection ensures that all title information on the report is accurate or you may file a claim for damages. After inspecting the clean AutoCheck report, you will be confident in the history of this vehicle. A clean AutoCheck gives you piece of mind. We recommend all customers review an AutoCheck vehicle history report prior to test drive. We will gladly supply you this report at the dealership or over the phone. The vehicle has never been in an accident. This 2014 Ford F-150 has had only one owner. Call today to schedule a vehicle showing with an experienced Clickit Auto & RV Wandemere consultant. If you have a quick question about this unit, don?t hesitate to call. We understand at Clickit Auto & RV Wandemere that customer loyalty is earned one customer at a time. We want the opportunity to earn your business for life. Clickit Auto & RV Wandemere's mission is to ensure all our customers have a positive auto buying experience and are completely satisfied with their new vehicle. At Clickit Auto & RV Wandemere we understand that delivering top quality service is the only way to earn business. We promise to make your next car buying experience efficient and relaxed. Swing by today to view our entire Clickit Auto & RV Wandemere inventory. Clickit Auto & RV Wandemere prides itself on being the best dealership in the industry. Visit us today to take a test drive. Clickit Auto & RV Wandemere would like to thank you for giving us the opportunity to earn your business today. Are you curious about how much your vehicle is worth? A trained Clickit Auto & RV Wandemere vehicle appraiser can book out your vehicle and deliver you top market pricing. Welcome to Clickit Auto & RV Wandemere. Welcome to Clickit Auto & RV Wandemere. Our team strives to make your next vehicle purchase hassle free. Thanks for checking out our vehicle online. Please come and visit us at 12021 N Division St, Spokane, WA or give us a call at (509)242-3234. This is one of our most aggressively priced units. Good credit or bad credit, we can get you a great loan! We offer guaranteed financing regardless of credit history on the vehicle. Move quickly on the vehicle. The price was reduced this week and it will sell fast. Special financing terms are available. Ask about our great rates! The personality of this unit is embodied by the flex of its muscular lines. The F-150 commands respect with a rugged exterior. There are few comparable vehicles that match this vehicle?s style and sophistication. The tires are in great condition. All four tread heights are above manufacturer specification. This exceptionally comfortable cabin is ideal for long road trips. The window design gives the driver excellent visibility. There is plenty of room for the whole family and it's perfect for the long summer road trips. Get out and explore the off-roading capabilities of this this model. You will be impressed by the off-road ready suspension and drivetrain. The off-roading enthusiast will love the capabilities of the extra-large off-roading tires on this rig. The engine and chassis of this 2014 Ford F-150 has been designed for towing. The entire mechanical system is sound and reliable. After close inspection, we found the brake pads and rotors to be in almost new condition. The high torque clutch has exceptional grip and is rated for thousands of more miles. If muscle is what you are after, you will be more than satisfied with this this unit. The engine has a lot of low end torque for your toughest towing and hauling needs. The engine runs great and has recently completed a scheduled tune-up. The large turbo on this engine boosts horsepower by forcing more air into the cylinders. Our service department inspected the transmission to ensure there is no slippage. This 2013 FORD F-150 LARIAT 3.5L V6 4X4 ECOBOOST TRUCK has the durability you can depend on as the miles tick away. Reduce your trips to the pump! It is one of the most fuel efficient vehicles in its class. The speed and passing capabilities of this 2013 Ford F-150 will impress. If you are looking for a tough long lasting vehicle, this it is a great option for you. This Ford F-150 will have plenty of room to safely transport your kids to the next ballgame or family outing. The vehicle will stick to the ground on the sharpest of turns. With exceptional handling, you will enjoy every curve of your favorite roads. It is an amazing performer and is sure to turn heads where you go. Has plenty of room for the whole family! That makes this model perfect for the long summer road trips. This vehicle is fully loaded with all equipment options. This Ford F-150 has amazing acceleration and passing capabilities. This 1/2 ton pickup is fun to drive! This Ford F-150 is designed to handle any icy road condition that Mother Nature can throw at you. Your passengers will feel safe with stable braking and handling on all road conditions. This Ford F-150 is a versatile vehicle. When it comes to any auto purchase, there is nothing more important than safety. this 2013 Ford F-150 will protect you and your passengers with innovative safety features. It has dependability you can trust. This Ford F-150 has a 3.5 liter V6 Cylinder Engine high output engine. The F-150 has an automatic transmission that includes a manual shifting mode. This Ford F-150 has four wheel drive capabilities. This Ford F-150 is equipped with a gasoline engine. This Ford F-150 excites both driver and bystanders with a polished red exterior with racy lines. Anti-lock brakes will help you stop in an emergency. The vehicle has adjustable pedals that are luxurious and safety conscious. Icebox AC keeps this model cool all summer long. This model is accented with premium quality alloy wheels. It has an aux input for mp3 players. Easily set your speed in it with a state of the art cruise control system. Increase or decrease velocity with the touch of a button. Electronic Stability Control is one of many advanced safety features on the vehicle. The fog lights cut through the weather so you can see what's ahead. This model has front airbags that will protect you and your passenger in the event of an accident. It is equipped with front side curtain airbags. The vehicle features a hands-free Bluetooth phone system. Enjoy the heated seats in this 1/2 ton pickup you will never buy a vehicle without them. Everyone loves the comfort of having a warm seat on those cold winter days. With the keyless entry system on it, you can pop the trunk without dropping your bags from the store. The leather seats in it are a must for buyers looking for comfort, durability, and style. A front power adjustable seat increases driver comfort. Power windows are a must have modern convenience. The premium wheels make this Ford F-150 stand out from the crowd. The satellite radio system in this model gives you access to hundreds of nationwide radio stations with a clear digital signal. This model features a tilt steering wheel. This unit features tinted windows. You will have no problem towing your boat or trailer to your next outing with this vehicle. The F-150 comes standard with a state of the art traction control system. The F-150 has a trip computer for clocking your road adventures. It is a rare vehicle and is hard to find. With having reputation for being one of the most dependable vehicles on the road, this 2011 DODGE RAM PICKUP 1500 LARAMIE LONGHORN 5.7L V8 4X4 TRUCK won't let you down. The vehicle has a track record of being very tough and durable. The Ram Pickup will have plenty of room to safely transport your kids to the next ballgame or family outing. This 2011 Dodge Ram Pickup 1500 will keep you on the lookout for police when you are topping 100 MPH. Unfortunately, this speed demon does not come with speeding ticket forgiveness coverage. The performance-tuned suspension of it handles great on all turns. This unit has quick acceleration. The vehicle is roomy and has a smooth ride. This vehicle comes loaded with all the features that will meet your needs and then some. Be sure to review the options listed on this page. This Dodge Ram Pickup has amazing acceleration and passing capabilities. This 1/2 ton pickup is fun to drive! This model comes standard with numerous top of the line safety features. This unit is as tough as they come. This Dodge Ram Pickup is a versatile vehicle. This unit is designed to handle any icy road condition that Mother Nature can throw at you. Your passengers will feel safe with stable braking and handling on all road conditions. This unit has a 5.7 liter 8 Cylinder Engine high output engine. It has an automatic transmission. This 2011 Dodge Ram Pickup 1500 has four wheel drive capabilities. This Dodge Ram Pickup is equipped with a gasoline engine. This model is protected with a UV resistant earth-toned brown color. Anti-lock brakes will help you stop in an emergency. The gas and brake pedals adjust allowing you to fine-tune them for personal fit and comfort. Icebox AC keeps this vehicle cool all summer long. This vehicle has an aux input for mp3 players. See what's behind you with the backup camera on this unit. The bed looks great and is protected with a durable surface material. This 1/2 ton pickup is complemented by a front cooled seats. This vehicle features cruise control for long trips. The Electronic Stability Control will keep you on your intended path. The fog lights cut through the weather so you can see what's ahead. It has front airbags that will protect you and your passenger in the event of an accident. Stay safe with additional front side curtain airbags. The vehicle features a hands-free Bluetooth phone system. Heated seats for those cold winter days are included in this 1/2 ton pickup. Keep your hands warm all winter with a heated steering wheel in the Ram Pickup. With the keyless entry system on this vehicle, you can pop the trunk without dropping your bags from the store. With the adjustable lumbar support in this 2011 Dodge Ram Pickup 1500, your back will love you. A moon roof lets more light into this 2011 Dodge Ram Pickup 1500 and makes the interior feel more spacious. The installed navigation system will keep you on the right path. This vehicle comes with power adjustable seat to get your seat just right for you. Power seats are a must! The vehicle has convenient power windows. This Dodge Ram Pickup has a premium sound system installed. The premium wheels make it stand out from the crowd. The rear parking assist technology on this 1/2 ton pickup will put you at ease when reversing. The system alerts you as you get closer to an obstruction. Start this unit from inside with remote start. This 2011 Dodge Ram Pickup 1500 comes with running boards already installed. The satellite radio system in the Ram Pickup gives you access to hundreds of nationwide radio stations with a clear digital signal. This 1/2 ton pickup features steering wheel audio controls. This vehicle features a tilt steering wheel. Keep yourself cool in the summer with the premium quality tinted windows. You will have no problem towing your boat or trailer to your next outing with this Dodge Ram Pickup. Track your miles and travel time in this vehicle with the trip computer. This 2011 Dodge Ram Pickup 1500 is a rare vehicle and is hard to find. This 2014 FORD F-150 XLT 5.0L V8 4X4 TRUCK is as tough as they come. This 1/2 ton pickup is a versatile vehicle. This vehicle handles exceptionally well in the snow and ice. When it comes to any auto purchase, there is nothing more important than safety. it will protect you and your passengers with innovative safety features. With having reputation for being one of the most dependable vehicles on the road, this model won't let you down. This vehicle is fun to drive! The vehicle has a track record of being very tough and durable. This 2014 Ford F-150 will have plenty of room to safely transport your kids to the next ballgame or family outing. The performance tuned suspension of this vehicle handles great on all turns. The F-150 has quick acceleration. Has plenty of room for the whole family! That makes the vehicle perfect for the long summer road trips. With these performance numbers, you won't be disappointed when you take it for a test drive. This 2014 Ford F-150 has a 5.0 liter 8 Cylinder Engine high output engine. When you encounter slick or muddy roads, you can engage the four wheel drive on this Ford F-150 and drive with confidence. This 2014 Ford F-150 has an elegant black exterior finish. Anti-lock brakes are standard on the F-150. Icebox AC keeps the F-150 cool all summer long. This unit is accented with premium quality alloy wheels. Bring all your music with you along for the ride in this 2014 Ford F-150 with its mp3 player aux input jack. This vehicle features cruise control for long trips. This Ford F-150 has fog lights for all weather conditions. The vehicle is equipped with front airbags. Stay safe with additional front side curtain airbags. Bluetooth technology is built into this 1/2 ton pickup, keeping your hands on the steering wheel and your focus on the road. With the keyless entry system on this Ford F-150, you can pop the trunk without dropping your bags from the store. Power windows are a must have modern convenience. The satellite radio system in it gives you access to hundreds of nationwide radio stations with a clear digital signal. The tilt steering wheel in this 1/2 ton pickup allows you to adjust the driving experience to fit you. This Ford F-150 is equipped with a heavy-duty towing package. This vehicle comes standard with a state of the art traction control system. with XM/Sirus Satellite Radio you are no longer restricted by poor quality local radio stations while driving this 2014 Ford F-150. Anywhere on the planet, you will have hundreds of digital stations to choose from. The supply is limited! If you are serious about this vehicle, we recommend you move fast. This 2012 RAM 1500 SLT 5.7L V8 HEMI 4X4 TRUCK has dependability you can trust. This 2012 Ram 1500 has a track record of being very tough and durable. This 2012 Ram 1500 is a great vehicle for families. The speed and passing capabilities of this model will impress. It is an amazing performer and is sure to turn heads where you go. This unit is roomy and has a smooth ride. The 1500 comes loaded with all the features that will meet your needs and then some. Be sure to review the options listed on this page. This vehicle has amazing acceleration and passing capabilities. The performance tuned suspension of this Ram 1500 handles great on all turns. The vehicle is fun to drive! When it comes to any auto purchase, there is nothing more important than safety. the vehicle will protect you and your passengers with innovative safety features. This 2012 Ram 1500 has durability you can depend on as the miles tick away. This vehicle is an all-around vehicle, well equipped for anything. Whether it is work or play this is a very functional vehicle that will meet all your requirements. The vehicle is designed to handle any icy road condition that Mother Nature can throw at you. Your passengers will feel safe with stable braking and handling on all road conditions. This 1/2 ton pickup has a V8, 5.7L high output engine. This 2012 Ram 1500 has an automatic transmission. When you encounter slick or muddy roads, you can engage the four wheel drive on this Ram 1500 and drive with confidence. This 1/2 ton pickup is equipped with a gasoline engine. This 2012 Ram 1500 gleams with a shiny gold metallic finish. Anti-lock brakes are standard on this 1/2 ton pickup. The vehicle has air conditioning that feels like a walk-in refrigerator. Light weight alloy wheels on the vehicle are the perfect compliment to a stylish body. This unit has an aux input for mp3 players. See what's behind you with the back up camera on this 2012 Ram 1500 . The bed looks great and is protected with a durable surface material. Easily set your speed in this 1/2 ton pickup with a state of the art cruise control system. Increase or decrease velocity with the touch of a button. The Electronic Stability Control will keep you on your intended path. This unit has front air bags that will protect you and your passenger in the event of an accident. This Ram 1500 is equipped with front side curtain airbags. Bluetooth technology is built into this Ram 1500, keeping your hands on the steering wheel and your focus on the road. With the keyless entry system on this unit you can pop the trunk without dropping your bags from the store. A moon roof lets more light into this 1/2 ton pickup and makes the interior feel more spacious. You'll never again be lost in a crowded city or a country region with the navigation system on it. This vehicle comes with power adjustable seat to get your seat just right for you. Power seats are a must! Power windows are a must have modern convenience. Enjoy your music even more with the premium sound system in the vehicle. The state of the art park assist system will guide you easily into any spot. The premium quality running boards make it easier to get in and out of this 2012 Ram 1500 and give it a nice look too. This 2012 Ram 1500 has satellite radio capabilities. This unit features a tilt steering wheel. The 1500 features tinted windows. It is equipped with a heavy duty towing package. This vehicle has a trip computer for clocking your road adventures. The supply is limited! If you are serious about this vehicle, we recommend you move fast. This 2008 FORD F-350 SUPER DUTY LARIAT 6.4L V8 4X4 DIESEL TRUCK has the durability you can depend on as the miles tick away. This 1-ton pickup has a track record of being very tough and durable. It is designed to handle any icy road condition that Mother Nature can throw at you. Your passengers will feel safe with stable braking and handling on all road conditions. It is an all-around vehicle, well equipped for anything. Whether it is work or play this is a very functional vehicle that will meet all your requirements. This 1-ton pickup comes standard with numerous top of the line safety features. With having reputation for being one of the most dependable vehicles on the road, the F-350 won't let you down. This model is a great vehicle for families. The speed and passing capabilities of the vehicle will impress. Reduce your trips to the pump! It is one of the most fuel efficient vehicles in its class. The performance-tuned suspension of it handles great on all turns. The vehicle is an amazing performer and is sure to turn heads where you go. This vehicle is fun to drive! It has amazing acceleration and passing capabilities. This 2008 Ford F-350 Super Duty is roomy and has a smooth ride. The vehicle has a 6.4 liter 8 Cylinder Engine high output engine. It has an automatic transmission. When you encounter slick or muddy roads, you can engage the four wheel drive on this vehicle and drive with confidence. This unit features elegant lines colored with a long lasting sand colored finish. Anti-lock brakes are standard on it. This 1-ton pickup has air conditioning that feels like a walk-in refrigerator. Lightweight alloy wheels on this 1-ton pickup are the perfect compliment to a stylish body. This model has an aux input for mp3 players. Set the temperature exactly where you are most comfortable in this 2008 Ford F-350 Super Duty. The fan speed and temperature will automatically adjust to maintain your preferred zone climate. This 1-ton pickup features cruise control for long trips. It has fog lights for all weather conditions. This 1-ton pickup is equipped with front airbags. This vehicle is equipped with front side curtain airbags. With the keyless entry system on this unit, you can pop the trunk without dropping your bags from the store. The leather seats are soft and supportive on this Ford F-350. Help alleviate lower back pain with the driver seat lumbar support in it. A front power adjustable seat increases driver comfort. Power windows are a must have modern convenience. Enjoy your music even more with the premium sound system in the F-350. The rear parking assist technology on this model will put you at ease when reversing. The system alerts you as you get closer to an obstruction. This unit features a tilt steering wheel. Keep yourself cool in the summer with the premium quality tinted windows. This model is equipped with a heavy-duty towing package. Greater towing safety becomes standard with the installed trailer brake. This unit is a rare vehicle and is hard to find. This *Chevy* *Silverado* is a great truck has low miles and is good on gas. Has hands free wireless backup camera and backup sonar just to name a few. Has the 5.3 L motor with plenty of power so you can pull that camper that you have dreamed about so stop by today for a test drive. ***********************************************Welcome to ClickIt Auto & RV. Be sure to visit our virtual showroom of our Spokane used car inventory that includes cars trucks SUV's new and used RV's and motorcycles. There you will see detailed information about each vehicle and a picture gallery. ClickIt Auto Wandermere is proud to be an automotive leader in Spokane WA.We value each of our customers and pride ourselves in supporting our community by giving back.ClickIt Auto & RV's is a new & used Spokane RV Dealership and a used car dealer in Spokane WA.We offer a huge selection of quality used cars trucks SUVs RVs and motorcycles.Contact us for more information about our vehicles!We are located at 12021 N. Division St. Spokane WA 99218and are available by phone at 509-242-3234.You can also get driving directions and hours of service from our user-friendly website. This 2012 TOYOTA TACOMA 4.0L V6 MANUAL 4X4 TRUCK is designed to handle any icy road condition that Mother Nature can throw at you. Your passengers will feel safe with stable braking and handling on all road conditions. If you are looking for a tough long lasting vehicle, this 2012 Toyota Tacoma is a great option for you. This Toyota Tacoma is a great vehicle for families. Reduce your trips to the pump! It is one of the most fuel efficient vehicles in its class. This 2012 Toyota Tacoma is an amazing performer and is sure to turn heads where you go. This 2012 Toyota Tacoma has amazing acceleration and passing capabilities. Enjoy your driving more! This is one of the most exciting vehicles to drive in its class. It is a versatile vehicle. This small pickup has the durability you can depend on as the miles tick away. It comes standard with numerous top of the line safety features. This small pickup has dependability you can trust. The Tacoma has a 4.0 liter V6 Cylinder Engine high output engine. The manual transmission in it will give you exceptional control of your driving experience. When you encounter slick or muddy roads, you can engage the four wheel drive on the Tacoma and drive with confidence. This vehicle gleams with a flashy red exterior. Anti-lock brakes are standard on this vehicle. This unit has air conditioning that feels like a walk-in refrigerator. Lightweight alloy wheels on this unit are the perfect compliment to a stylish body. The vehicle has an aux input for mp3 players. See what's behind you with the backup camera on this small pickup. The bed looks great and is protected with a durable surface material. The vehicle features cruise control for long trips. Electronic Stability Control is one of many advanced safety features on this Toyota Tacoma. This vehicle has front airbags that will protect you and your passenger in the event of an accident. It is equipped with front side curtain airbags. This small pickup features a hands-free Bluetooth phone system. A front power adjustable seat increases driver comfort. Power windows are a must have modern convenience. This unit has satellite radio capabilities. This small pickup has an adjustable telescoping wheel that allows you to achieve a perfect fit for your driving comfort. The vehicle is equipped with a heavy-duty towing package. The vehicle comes standard with a state of the art traction control system. The vehicle is equipped with the latest generation of XM/Sirius Radio. This unit is a rare vehicle and is hard to find. This 2014 Ford F-150 has a 3.5 liter V6 Cylinder Engine high output engine. The vehicle has an automatic transmission that includes a manual shifting mode. When you encounter slick or muddy roads, you can engage the four wheel drive on this Ford F-150 and drive with confidence. It is equipped with a gasoline engine. This Ford F-150 emanates grace with its stylish gray exterior. Anti-lock brakes are standard on this model. The gas and brake pedals adjust allowing you to fine-tune them for personal fit and comfort. Icebox AC keeps this 2014 Ford F-150 cool all summer long. Light weight alloy wheels on this Ford F-150 are the perfect compliment to a stylish body. See what's behind you with the back up camera on this 2014 Ford F-150 . The bed looks great and is protected with a durable surface material. It features a high end BOSE stereo system. Maintaining a stable interior temperature in this Ford F-150 is easy with the climate control system. Once you've sat in this 2014 Ford F-150 with cooled seats on a hot summer day, you'll never know how you lived without it. Easily set your speed in this 2014 Ford F-150 with a state of the art cruise control system. Increase or decrease velocity with the touch of a button. This Ford F-150 features a customer bumper. Know you and your passengers are protected with the front and rear side curtain airbags in it. This unit has fog lights for all weather conditions. This vehicle has front air bags that will protect you and your passenger in the event of an accident. This 1/2 ton pickup is equipped with front side curtain airbags. A full size spare is included. This model features heated side mirrors keeping the ice off and your vision spot-on. Enjoy the heated seats in this 1/2 ton pickup you will never buy a vehicle without them. Everyone loves the comfort of having a warm seat on those cold winter days. The vehicle is pure luxury with a heated steering wheel. This 1/2 ton pickup will allow to see the road and so much more with the HID headlights. With the keyless entry system on the F-150 you can pop the trunk without dropping your bags from the store. The leather seats are soft and supportive on it. Help alleviate lower back pain with the driver seat lumbar support in this model. The memory seats included on this model allow you to set your perfect position and forget it. The Microsoft Sync System in it allows you to control may aspects of the vehicle with just your voice. This unit looks sharp with a moon roof. You'll never again be lost in a crowded city or a country region with the navigation system on this model. This unit has oversize off-road tires to eat up the dirt. The vehicle comes with power adjustable seat to get your seat just right for you. Power seats are a must! Power windows are a must have modern convenience. This unit has a premium sound system installed. Nothing dresses up a vehicle better than a set of high end premium wheels. The state of the art park assist system will guide you easily into any spot. This vehicle looks aggressive with a streamlined rear spoiler. The premium quality running boards make it easier to get in and out of this 1/2 ton pickup and give it a nice look too. The F-150 features steering wheel audio controls. The sunroof in this 2014 Ford F-150 is a great way to control temperature and let the outside in. This model is built for driving comfort with a telescoping wheel. The tilt steering wheel in this 2014 Ford F-150 allows you to adjust the driving experience to fit you. Keep yourself cool in the summer with the premium quality tinted windows. You will have no problem towing your boat or trailer to your next outing with this 2014 Ford F-150 . The traction control system on this 1/2 ton pickup instantly senses tire slippage and executes minute power adjustments to maintain traction at all speeds. Greater towing safety becomes standard with the installed trailer brake. Track your miles and travel time in this model with the trip computer. with XM/Sirus Satellite Radio you are no longer restricted by poor quality local radio stations while driving this model. Anywhere on the planet, you will have hundreds of digital stations to choose from. This vehicle will have plenty of room to safely transport your kids to the next ballgame or family outing. If you are looking for a tough long lasting vehicle, this this unit is a great option for you. The vehicle sips fuel. This 1/2 ton pickup is fun to drive! The performance tuned suspension of this 1/2 ton pickup handles great on all turns. It has quick acceleration. It is fully loaded with all equipment options. This model has amazing acceleration and passing capabilities. Be the first off the line with the quickness of this vehicle. This unit has durability you can depend on as the miles tick away. It is an all-around vehicle, well equipped for anything. Whether it is work or play this is a very functional vehicle that will meet all your requirements. The vehicle is designed to handle any icy road condition that Mother Nature can throw at you. Your passengers will feel safe with stable braking and handling on all road conditions. This is one of the cleanest vehicles we have seen. The interior and exterior are in good condition. Great condition and well maintained, this this 2014 Ford F-150 is just like the day it rolled out of the factory. The vehicle is in great condition. This unit has had a safety and mechanical inspection completed. This model has very low miles for its year. This unit has a clean AutoCheck single owner vehicle history report. AutoCheck Buyback Protection ensures that all title information on the report is accurate or you may file a claim for damages. It has a clean AutoCheck vehicle history report. Please let us know if you would like us to send you an AutoCheck vehicle history report on this unit. The vehicle has never been in an accident. This model has had only one owner. A qualified Clickit Auto & RV Wandemere sales consultant is available by phone to answer any questions you may have about this vehicle. Clickit Auto & RV Wandemere?s customer loyalty program is designed to ensure customers are rewarded for repeat business and inviting their friends to shop at -dealerName-. Clickit Auto & RV Wandemere is committed to 100% customer satisfaction, no exceptions. At Clickit Auto & RV Wandemere we understand that delivering top quality service is the only way to earn business. We promise to make your next car buying experience efficient and relaxed. Swing by today to view our entire Clickit Auto & RV Wandemere inventory. Clickit Auto & RV Wandemere prides itself on being the best dealership in the industry. Visit us today to take a test drive. Clickit Auto & RV Wandemere would like to thank you for giving us the opportunity to earn your business today. Bring your vehicle in today for an accurate trade evaluation. Welcome to Clickit Auto & RV Wandemere. Our experienced Clickit Auto & RV Wandemere team is excited to assist you in your next vehicle purchase. Welcome to the best source for online deals. Thanks for checking out our vehicle online. Please come and visit us at 12021 N Division St, Spokane, WA or give us a call at (509)242-3234. This is one of our most aggressively priced units. Good credit or bad credit, we can get you a great loan! It has guaranteed financing. You will be hard pressed to find another one with a price this good. Save big with the special financing rates and terms are being offered. Smooth clean lines wrap this model like silk. You will immediately be impressed by the curb appeal of this vehicle. This unit has aftermarket rims. There are few comparable vehicles that match this 2014 Ford F-150 ?s style and sophistication. This unit's tough strong personality is reflected in its rugged exterior design. The tires are in great condition. All four tread heights are above manufacturer specification. Relax in the plush seats of this comfortable interior. The luxurious refined interior of it surrounds you with unsurpassed quality. Stretch out and feel the room in this large interior. This 2014 Ford F-150 is equipped with a class leading off-road package. The off-roading enthusiast will love the capabilities of the extra-large off-roading tires on this rig. It is equipped with running boards. The engine and chassis of this Ford F-150 has been designed for towing. If you are looking for a tough long lasting vehicle, this 2010 DODGE RAM PICKUP 3500 SLT 6.7L TURBO DIESEL 4X4 TRUCK is a great option for you. This Dodge Ram Pickup is a great vehicle for families. Reduce your trips to the pump! It is one of the most fuel efficient vehicles in its class. The performance tuned suspension of this model handles great on all turns. This Dodge Ram Pickup has quick acceleration. This 1-ton pickup is roomy and has a smooth ride. This vehicle has amazing acceleration and passing capabilities. This vehicle is fun to drive! With having reputation for being one of the most dependable vehicles on the road, the vehicle won't let you down. When it comes to any auto purchase, there is nothing more important than safety. this vehicle will protect you and your passengers with innovative safety features. This 2010 Dodge Ram Pickup 3500 is as tough as they come. This 1-ton pickup is an all-around vehicle, well equipped for anything. Whether it is work or play this is a very functional vehicle that will meet all your requirements. This 2010 Dodge Ram Pickup 3500 is designed to handle any icy road condition that Mother Nature can throw at you. Your passengers will feel safe with stable braking and handling on all road conditions. This model has an L6, 6.7L; Turbo high output engine. The high-efficiency automatic transmission shifts smoothly and allows you to relax while driving. This unit has four wheel drive capabilities. The vehicle has a diesel engine. This 1-ton pickup gleams with an elegant silver clear coated finish. Anti-lock brakes are standard on this model. Icebox AC keeps this Dodge Ram Pickup cool all summer long. This model has an aux input for mp3 players. The vehicle features cruise control for long trips. Know you and your passengers are protected with the front and rear side curtain airbags in this unit. This Dodge Ram Pickup has front airbags that will protect you and your passenger in the event of an accident. This Dodge Ram Pickup is equipped with front side curtain airbags. With the keyless entry system on this model, you can pop the trunk without dropping your bags from the store. The installed navigation system will keep you on the right path. This 2010 Dodge Ram Pickup 3500 comes with power adjustable seat to get your seat just right for you. Power seats are a must! This model has convenient power windows. The rear parking assist technology on the Ram Pickup will put you at ease when reversing. The system alerts you as you get closer to an obstruction. This 2010 Dodge Ram Pickup 3500 has satellite radio capabilities. This model features a tilt steering wheel. The Ram Pickup features tinted windows. It is equipped with a heavy-duty towing package. Track your miles and travel time in this unit with the trip computer. The supply is limited! If you are serious about this vehicle, we recommend you move fast. This vehicle has a 3.5 liter V6 Cylinder Engine high output engine. The shiftable automatic in it gives you to option to control your gears manually without having to give up the convenience of an automatic transmission. When you encounter slick or muddy roads, you can engage the four wheel drive on this unit and drive with confidence. This vehicle is equipped with a gasoline engine. This Ford F-150 gleams with an elegant silver clear coated finish. Anti-lock brakes will help you stop in an emergency. The gas and brake pedals adjust allowing you to fine-tune them for personal fit and comfort. Icebox AC keeps it cool all summer long. This 2014 Ford F-150 is accented with premium quality alloy wheels. Bring all your music with you along for the ride in this 2014 Ford F-150 with its mp3 player aux input jack. Protect the F-150 from unwanted accidents with a cutting edge backup camera system. The bed looks great and is protected with a durable surface material. It features a high end BOSE stereo system. Set the temperature exactly where you are most comfortable in this unit. The fan speed and temperature will automatically adjust to maintain your preferred zone climate. This Ford F-150 is complimented by a front cooled seats. Easily set your speed in it with a state of the art cruise control system. Increase or decrease velocity with the touch of a button. The custom bumper gives this unit front end protection and rugged good looks. Front and rear side curtain airbags are included on this 1/2 ton pickup. The fog lights cut through the weather so you can see what's ahead. This 1/2 ton pickup is equipped with front air bags. This model is equipped with front side curtain airbags. No repair kit necessary; this unit includes a full-size spare tire. This model features heated side mirrors keeping the ice off and your vision spot-on. Heated seats for those cold winter days are included in the F-150. Keep your hands warm all winter with a heated steering wheel in the vehicle . This 1/2 ton pickup will allow to see the road and so much more with the HID headlights. Control your garage door with its built in HomeLink System. With the keyless entry system on the vehicle you can pop the trunk without dropping your bags from the store. The leather seats are soft and supportive on this model. Help alleviate lower back pain with the driver seat lumbar support in this 1/2 ton pickup. The memory seats included on this vehicle allow you to set your perfect position and forget it. This Ford F-150 looks sharp with a moon roof. The installed navigation system will keep you on the right path. An off-road package is equipped on this Ford F-150. The oversized off-road tires on this unit will devour what ever you throw at them. A front power adjustable seat increases driver comfort. Power windows are a must have modern convenience. Enjoy your music even more with the premium sound system in this vehicle. Nothing dresses up a vehicle better than a set of high end premium wheels. The rear bucket seats in this model will give your passengers a comfortable and spacious ride. Never get into a cold vehicle again with the remote start feature on it. The premium quality running boards make it easier to get in and out of this 2014 Ford F-150 and give it a nice look too. The sunroof in this 2014 Ford F-150 is a great way to control temperature and let the outside in. This vehicle has an adjustable telescoping wheel that allows you to achieve a perfect fit for your driving comfort. The tilt steering wheel in this unit allows you to adjust the driving experience to fit you. Keep yourself cool in the summer with the premium quality tinted windows. The F-150 has a tire pressure monitoring system is installed. You will have no problem towing your boat or trailer to your next outing with this Ford F-150. The vehicle comes standard with a state of the art traction control system. Greater towing safety becomes standard with the installed trailer brake. Track your miles and travel time in the F-150 with the trip computer. If you are looking for a tough long lasting vehicle, this it is a great option for you. This 2014 Ford F-150 will have plenty of room to safely transport your kids to the next ballgame or family outing. It is fun to drive! This Ford F-150 has quick acceleration. This unit is fully loaded with all equipment options. With these performance numbers you wont be disappointed when you take it for a test drive. With having reputation for being one of the most dependable vehicles on the road,this 1/2 ton pickup won't let you down. This Ford F-150 handles exceptionally well in the snow and ice. This 1/2 ton pickup is a versatile vehicle. This 1/2 ton pickup has durability you can depend on as the miles tick away. This is one of the cleanest vehicles we have seen. This 2014 Ford F-150 has normal wear and tear for a vehicle of this year. We have inspected and reconditioned the vehicle to ensure it requires no additional post-sale work. Great condition and well maintained, this this 1/2 ton pickup is just like the day it rolled out of the factory. The vehicle is in great condition. The F-150 has had a safety and mechanical inspection completed. This 1/2 ton pickup will give you many years of use as it has very low mileage. We ran an AutoCheck report and found there has only been one owner and the vehicle has never been in an accident. AutoCheck Buyback Protection ensures that all title information on the report is accurate or you may file a claim for damages. This 2014 Ford F-150 has a clean AutoCheck vehicle history report. Please let us know if you would like us to send you an AutoCheck vehicle history report on this unit. This 2014 Ford F-150 has never been in an accident. The F-150 has only been driven by one other owner than you. Single owner vehicles are always the most desirable. Call today to schedule a vehicle showing with an experienced Clickit Auto & RV Wandemere consultant. If you have a quick question about this unit, don?t hesitate to call. We understand at Clickit Auto & RV Wandemere that customer loyalty is earned one customer at a time. We want the opportunity to earn your business for life. Clickit Auto & RV Wandemere's mission is to ensure all our customers have a positive auto buying experience and are completely satisfied with their new vehicle. We are honored at the opportunity to earn your business. You are always welcome to visit our showroom for a hassle free low pressure shopping experience. Clickit Auto & RV Wandemere prides itself on being the best dealership in the industry. Now that you found a vehicle you like, let's schedule a time for you to take a pressure free test drive. Clickit Auto & RV Wandemere would like to thank you for giving us the opportunity to earn your business today. Bring your vehicle in today for an accurate trade evaluation. Welcome to the exclusive Clickit Auto & RV Wandemere online vehicle listings. Welcome to Clickit Auto & RV Wandemere. Our team strives to make your next vehicle purchase hassle free. Thanks for checking out our vehicle online. Please come and visit us at 12021 N Division St, Spokane, WA or give us a call at (509)242-3234. This is one of our most aggressively priced units. Good credit or bad credit, we can get you a great loan! We offer guaranteed financing regardless of credit history on this unit. This Ford F-150 is aggressively priced to move. Save big with the special financing rates and terms are being offered. Smooth clean lines wrap this vehicle like silk. This Ford F-150 commands respect with a rugged exterior. The eye catching style of this Ford F-150 will turn heads. The tires have plenty of tread life. This exceptionally comfortable cabin is ideal for long road trips. The well designed interior is both functional and comfortable. There is plenty of room for the whole family and it's perfect for the long summer road trips. Quality finishes and refined accents exemplify the precision engineering that went into the interior design. Whether it is snow or other off-road conditions, this unit has ample clearance for wherever you next adventure takes you. Get out and explore the off-roading capabilities of this the F-150. You will be impressed by the off-road ready suspension and drivetrain. The off-roading enthusiast will love the capabilities of the extra-large off-roading tires on this rig. This vehicle is equipped with running boards. The engine and chassis of it has been designed for towing. Our service department inspected the transmission to ensure there is no slippage. Our techs have inspected the powertrain and have reported it to be in excellent condition. If muscle is what you are after, you will be more than satisfied with this the F-150. The engine has a lot of low end torque for your toughest towing and hauling needs. When you encounter slick or muddy roads, you can engage the four wheel drive on this 3/4 ton pickup and drive with confidence. This GMC Sierra has a diesel engine. It has air conditioning that feels like a walk-in refrigerator. Easily set your speed in this vehicle with a state of the art cruise control system. Increase or decrease velocity with the touch of a button. Keep yourself cool in the summer with the premium quality tinted windows. Visit us today to take a test drive. Thanks for viewing Clickit Auto & RV Wandermere's exclusive listings. The high efficiency automatic transmission shifts smoothly and allows you to relax while driving. With a diesel engine you will be pleased with the power, torque, and fuel efficiency gains. The vehicle has air conditioning that feels like a walk-in refrigerator. Light weight alloy wheels on the F-250 are the perfect compliment to a stylish body. A front power adjustable seat increases driver comfort. Power windows are a must have modern convenience. This 3/4 ton pickup features a tilt steering wheel. This model features tinted windows. You will have no problem towing your boat or trailer to your next outing with this model. Call today to schedule a vehicle showing with an experienced Clickit Auto & RV Wandermere consultant. If you have a quick question about this unit, don?t hesitate to call. Now that you found a vehicle you like, let's schedule a time for you to take a pressure free test drive. 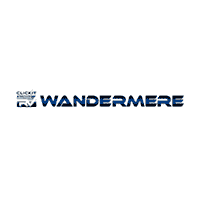 Thanks for viewing Clickit Auto & RV Wandermere's exclusive listings. Find a Used RV Truck for Sale at ClickIt Auto and RV Wandermere! If you’re located near Seattle or Moses Lake, you don’t have to go far to find a truck that can take you anywhere you want to go! Our lineup includes full-size pickups like the used Chevrolet Silverado and the used RAM 1500, as well as capable mid-size models like the Ford Ranger. If you’re still not entirely sure which RV-truck setup is right for you, you might want to learn more about toy haulers, pop-up trailers, and other types of used RVs before you visit. You can also contact us directly for expert assistance and advice. When you start your next adventure with ClickIt Auto and RV Wandermere today, you could be trekking out to one of our favorite Washington RV getaways tomorrow! If you’re ready to take the next steps, value your trade-in and secure financing online. Then, simply contact us to schedule your test drive!